For many DJs, a residency at one of the major clubs in Ibiza would be a sign that they'd made it and entered the major league. To maintain that residency for well over a decade would be their dream come true: job done. 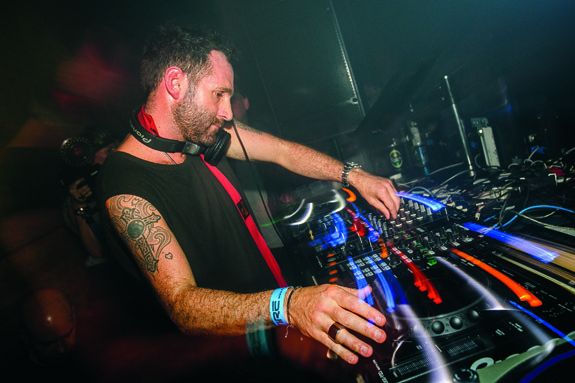 But for Steve Lawler, while he’s loved dining out at dance music’s top table for such a long stretch, last year saw him leave his long-running residency at Space. Having successfully run his VIVa MUSiC label since 2006 and nurtured a set of talented producers and DJs, more of which later, Steve wanted somewhere he could call home and could showcase his gifted protégés, while also taking things back to their slightly less commercial roots. Having thrown a successful closing party at Sankeys Ibiza at the end of summer 2011, Birmingham-born Steve decided to make one of the boldest moves of his career. But not everybody was convinced. And so the VIVa Warriors were born. Taking their name and spirit from cult 1979 New York gang film, The Warriors, their weekly takeover of Sankeys Ibiza last summer proved hugely successful. With a strong identity in place, as well as Steve’s belief and many years of experience on the White Isle, the plan paid off. Although it wasn’t without a certain level of self-sacrifice. Steve believes the Warriors’ success has stemmed in part from rekindling that genuine connection with the crowd, who often go all out to dress up and don face paint and feathers. Last summer saw Steve sharing resident duties with rising star Darius Syrossian, whose productions have been released on VIVa MUSiC and Hot Creations, among other labels, and who has sparked interest across the board. While other VIVa MUSiC label-mates guested at VIVa Warriors throughout last summer, this year will see many of them taking a far more prominent role by becoming residents, further increasing the intimate, family feel of the nights. A high profile guest will also join the VIVa Warriors every week, with Guti, Robert Dietz, Livio & Roby, Butch, Lee Curtiss and Radio Slave all confirmed. Of his own charges, who he’s also been touring across Europe with under the Warriors banner, Steve singles out Detlef as a rising star to keep an eye on, both this summer in Ibiza and on the label. Work on Detlef’s album will begin after the summer and come out via VIVa MUSiC, according to Steve. In the meantime, the label has a landmark of its own to celebrate: its 100th release. 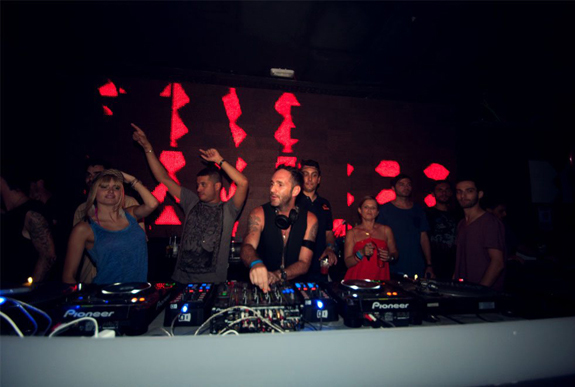 With a name that maintains the Ibizan/Spanish theme of the label, as well as VIVa’s all-inclusive ethos, the ‘Familia EP’ will feature productions from Livio & Roby, Darius Syrossian, Detlef, Julian Perez, Leon, Anëk, David Pher and Steve himself, and should be out by the end of May. Steve is far from rash, however, and has ensured that the growth of VIVa MUSiC, and that of recently-revived sister label eViVE Records, which releases less club-oriented sounds, has been slow and sustainable. “If I rush something, it doesn’t feel like it’s organic,” he says. “Hype is king in this business and it’s not something we’ve ever played the game of. We just do what we do, and we crack on. Over the years we’ve gradually built a team at VIVa MUSiC. Every penny we’ve ever earnt within the actual company we’ve put back into the company. And with that passion, commitment and willingness to take risks, you can bet the next decade for Steve Lawler and VIVa will be just as exciting as what’s gone before.